The YouTube Channel of Jeu.video ! Watch trailers, game let's plays and discover special events ! 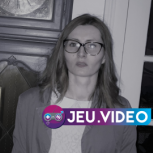 All the news about Jeu.Video forum ! Let's introduce yourself and get new conversations with the forum community ! Talk about Strategy MMO Agario ! All news around the world ! Discover community's tips and tricks ! Do you need to sell a game ? Are you looking for a special product ? This forum is made for you ! Here, you can talk about various themes with other forum members. Avis aux Fans de Fallout!! Find on the forum all the game projects made by developers of the community ! Introduce your team and manage your recruitments. un discord ?quoi encore ? Find the forum events of the community ! Here, you can organize game sessions with the forum community, or get in touch about streaming and video web services ! Pargonis part en Live ! Here, you can find projects and sites owned by community's members. You have an idea to improve the forum ? Post it here ! A question ? The forum community is here to answer ! On the forum, let's talk about action and adventure games ! Talk about simulation games on the forum ! Find all big strategy games ! Let's talk about this new technology on the forum, especially for videogames ! Come and talk about online games on the forum ! All scary games are gathered here ! On the forum, find useful informations about game consoles ! Do you own a very old console ? Come talk with passionates on the forum ! Share your solutions here ! Un niveau difficile et tu n'as pas de soluces ? poses ta question ici ? Tutorials, written by the forum members. Share your skills here ! All about softwares and operating systems on the forum. Programmation ressources, made by the forum community. Discover new webdesign methods on the forum ! Ressources created by the community. Expose your creations to forum members ! La Décadence du Mode Mégasplit?